It’s that time of year again when we’re all going frantic trying to find the ideal Christmas gift for loved ones, and that Uncle you only see once a year! 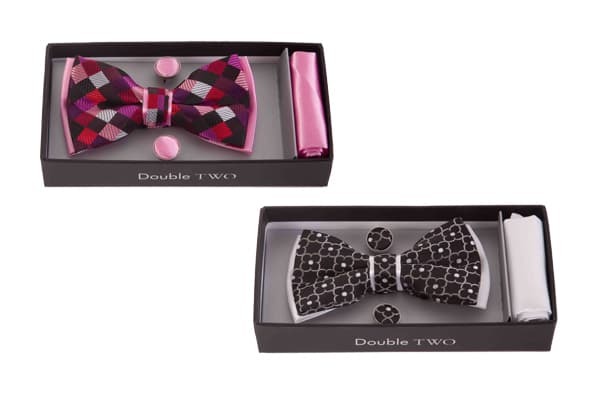 Luckily for you, Double TWO has never shied away from producing the perfect gift to suit the most stylish man! From luxurious, soft men’s scarves, to the most formal and sophisticated bow ties, handsome shirt and tie gift sets and, for the man who desires to look on top of his game – matching tie, handkerchief and cufflink gift sets. Wrap up warm because winter is most definitely here! One of the most sought after men’s gifts at this time of year is the scarf. We’ve pulled out all the stops this year to bring the very best men’s scarf offering there is! Well we knew we had to prepare for those fiercely cold January days ahead with something that truly does the job. 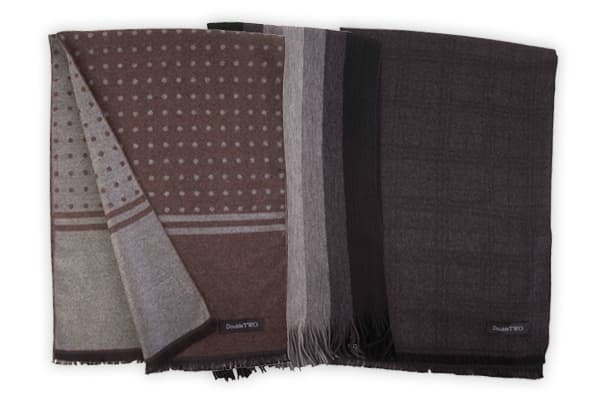 Our quality men’s scarves have a luxuriously soft feel that brings kindness to the skin and comfort around the neck. And of course our men’s scarves keep the heat in, yet still allow your skin to breathe. It’s those little touches of quality that make the difference between battling your way through the bitter cold and embracing the wondrous winter wilderness as you take a nice relaxing stroll, safely wrapped up warm. Take your pick of beautifully designed, elegant viscose scarves or go for the traditional knitted scarf. We all know someone who takes an age to decide what to wear. And it’s not just a female thing! We men of fine standards can really stress over what trousers go best with our favourite shirt! We’re ten times worse if you present us with a range of ties and ask us which one goes best. So the person who put these shirt and tie gift sets together is an absolute genius! 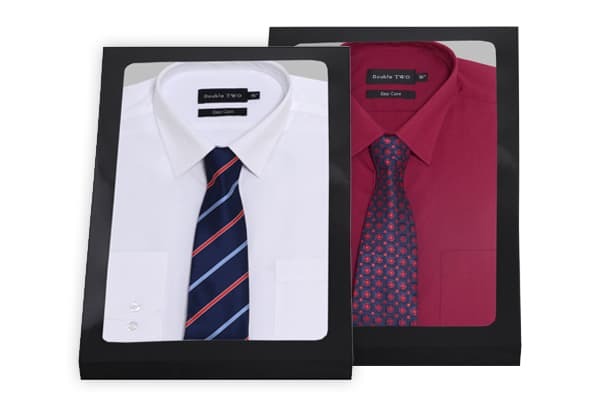 Using formal shirts from our classic best selling Easy Care range combined with our luxury polyester ties, these shirt and tie sets are true style statement pieces. For those who need to dazzle (or those you think could do with smartening up! ), we’ve put together beautifully presented gift boxes containing a tie along with a matching handkerchief and cufflinks. The box lid is even coloured to match, so he’ll always know which tie he’s reaching for before he opens the box! 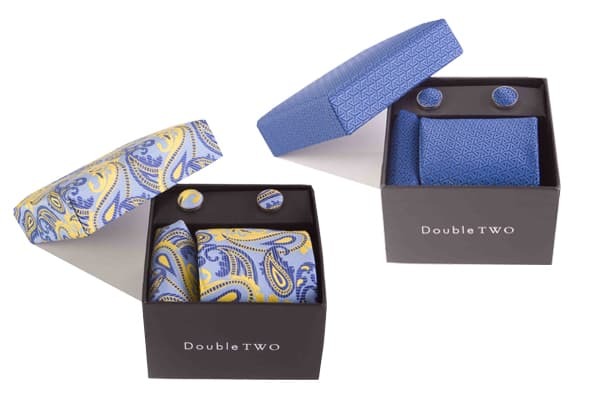 Combining luxury polyester ties with silky soft handkerchiefs complemented by expertly precision crafted cufflinks, these gift sets ensure no chance to impress is left uncatered for. You could have rows of these boxes stowed away neatly in a drawer and always know which tie, handkerchief and cufflinks are in which! For the man whose events get really formal, this dress wear version of the aforementioned tie, handkerchief and cufflink set is a sure fire winner for those wanting to look extra dashing! The bow ties in these men’s gift sets come in a range of colours, perfectly complemented with the handkerchief and cufflinks to match. Sometimes we gents, get all smart and sophisticated with shirts and ties and throw on a decent pair of trousers. We even nail down the details with a good pair of cufflinks. Whilst a good scarf makes us feel proud to wrap up and go outside. But we often forget that one essential item of everyday wear, socks! So for that man in your life, how about a pack of socks that really make the outfit? Our smart men’s cotton rich socks are not just an afterthought. They are crafted from a luxurious anti-bacterial cotton blend that offers long lasting comfort and a smart formal look. 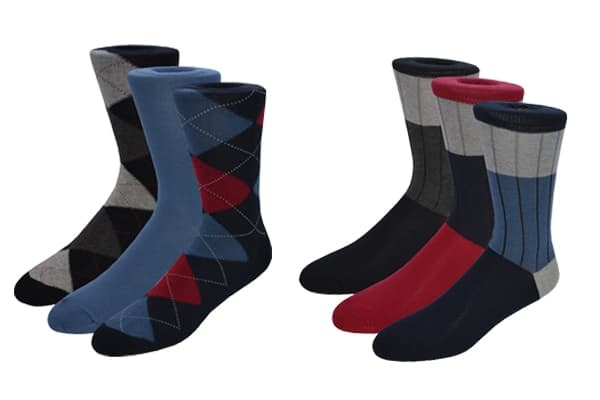 Choose from a range of men’s socks, all in packs of three. And formal socks don’t just have to be black you know! 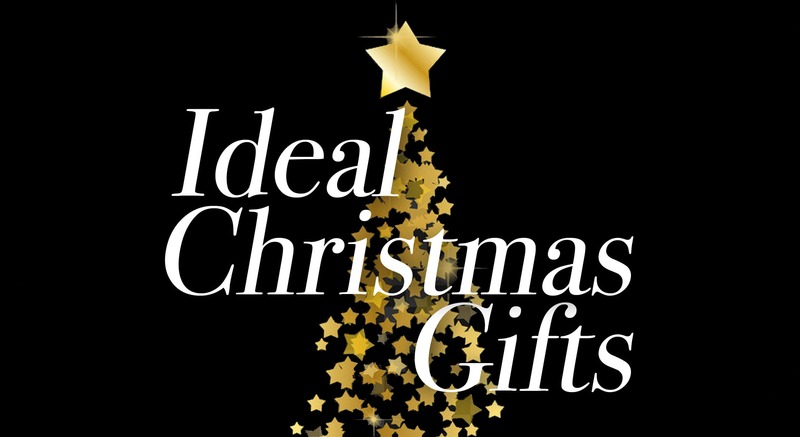 > Click here to shop our full Christmas Gift selection. Of course, you’ll also find a range of knitwear, formal shirts, casual shirts and casual wear throughout our website. So take a good luck around from the comfort of the sofa and complete your Christmas shopping for all the hard to buy for men in your life!